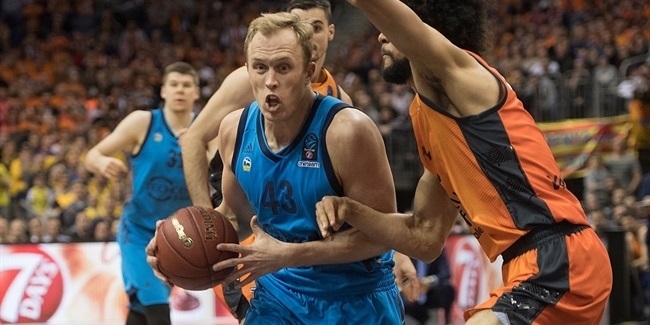 The ninth round of the regular season in the Eurocup almost sealed all the Last 32 tickets. There just one left for grabs in Group C, but the other 23 have been allocated. One of the teams that snatched one up this week was FoxTown Cantu in Group B, thanks to a home win over JDA Dijon. The hosts were led by Darius Johnson-Odom, who racked up a performance index rating of 40, the most this week among all winning players, to claim MVP honors. Johnson-Odom scored 31 points -including 4 of 5 twos and 7 of 9 threes-, grabbed 3 boards, dished 4 assists and drew 7 fouls. Following him, Sharrod Ford of Paris Levallois and Bobby Jones of Virtus Rome with an index rating performance of 36 each for respective wins. Finally, Tyler Honeycutt of Khimki Moscow Region completed the top five performances of the week with his 31 index. Individual highs: Donta Smith of Hapoel Bank Yahav Jerusalem has a triple-double! It's worth mentioning that Donta Smith of Hapoel Bank Yahav Jerusalem also had an index rating performance of 40, including a triple-double, but in a losing effort of his team that left them out of the Last 32. 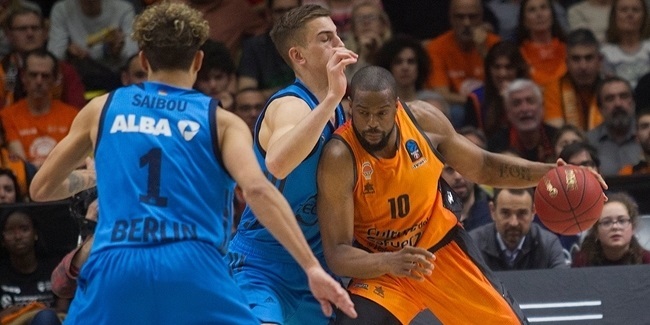 Smith's triple-double is just the seventh in over 12 years of competition, but his second one as he had another one last season while playing with Maccabi Haifa Bazan. 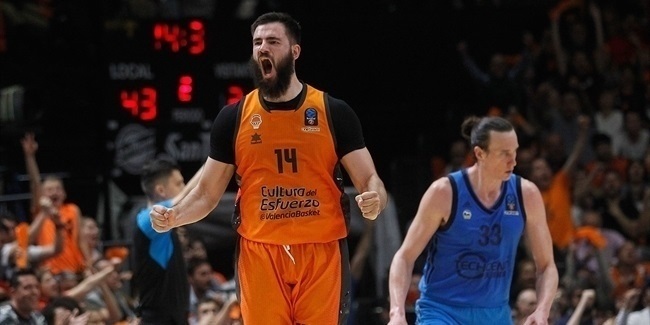 He therefore becomes the first player in Eurocup history to have more than one triple-double to his name. As for the top scorers of the week, Johnson-Odom led them all with his almost perfect 31 points and Ford followed him with 30. As many as four players led the rebounds ranking of the week with 12 boards apiece: Honeycutt, Milan Macvan of Partizan NIS Belgrade, Smith and Juan Diego Tello of Pinar Karsiyaka Izmir. Also, two players had as many as 13 assists this week. Of course, Smith is one of them, the other being Pedro Llompart of CAI Zaragoza. Finally, Bamba Fall of VEF Riga stopped as many as 5 plays of the opponents with those many blocks to close the list of stats leaders this week.